One of the biggest standouts of the week from the ladies was Alexis Witherspoon of John Hardin who set a PR in the 100m dash of 12.46 at the Thomas Nelson All Comers on her way to the #1 spot in the 110mH as well as the 2nd fastest 300mH time in her Super Region. Close behind her for the fastest 100m dash of the week was Tyana Claycomb of Fern Creek at 12.60 who did however clock the fastest 200m dash of the week at the North Oldham Invitational with a 25.83. In the 400m dash at her home meet, Sarah Rankin of North Oldham had the fastest time of the week with her 58.65 which was a whole three seconds faster than the second fastest 400 time of the week! 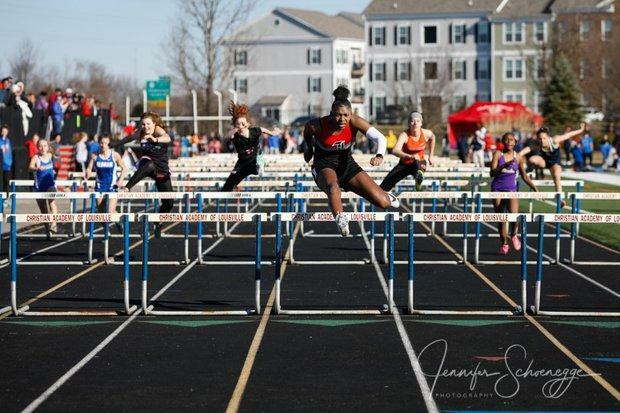 As mentioned before, John Hardin's Alexis Witherspoon took control in the 100mH with her 15.52 at the Thomas Nelson All Comers. Three days later however, at the Bruin All-Comers, Aniya Diamond from North Hardin edged out Witherspoon head to head in the 300mH for the fastest time of the week with a 48.05 to Witherspoons 48.69. Seniors Amirr Evans, Sarah Been, and Katy Chapman paved the way in the 800m. Elizabethtown teammates Evans and Been ran the fastest times of the week at the Bruin All Comers with a 2:21.76 for Evans and 2:22.25 for Been while Oldham County's Katy Chapman won the 800 at the North Oldham Invite with her 2:22.81. In the 1600m Kaylee Wilson of Christian Academy of Louisville went sub 5:30 at the North Oldham Invite crossing the line at 5:27.29 as the runner up from Oldham County, Ella Henage had the second fastest 1600 of the week in the same race with her 5:32.69. Wilsons CAL teammate and freshman standout, Addi Dewey, won the 3200m at the North Oldham Invite with an 11:44 clinching the top time of the week in her Super Region. Coming as seemingly no surprise, North Hardin's Angel Lee dominated the throws for the week with her 37-10.5 Shot Put and 109-10 Discus at the Bruin All Comers. In the jumps, Fern Creek's Keyanna Bottoms jumped a 35-7.5 taking the triple jump while Jazmyn Owens from Male took the crown in the Long Jump with her 16-0 mark. Both of these jumps came at the St. X Masters Meet in Louisville last week. At the North Oldham Invitational Josie Despain of Oldham County jumped 5-2 for the top mark in the High Jump while recent Bellarmine commit Raegan Franklin of North Oldham continued her dominance in the Pole Vault with a 11-0 clearance at her home meet. Despite their frequent dominance in cross country, St. X is more than just distance. 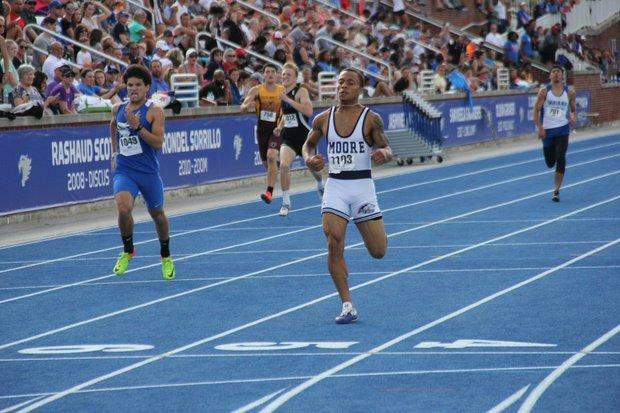 This year they have proven that they can compete across the board in track and field looking to make a legitimate run at the AAA team state title come May. Just like on the girls side, Thomas Nelson All Comers and North Oldham Invitational were the biggest producers of the top marks in this Super Region. The first of which comes from Bardstown's Kavonte Mason's 11.02 100m dash at Thomas Nelson. Just .01 seconds behind him on the leaderboards comes a familiar name in Richard NInamou who showed up on our power rankings list last week. Richard had the second fastest 100m time of the week in this region as well as the fastest 200m with his 21.71 at the North Oldham Invitational followed closely by last weeks #10 in the power rankings, Connor Newhouse running his 21.89 at the North Oldham Invitational as well. The most dominant 400m runner in the state Josiah Taylor ran his fastest time of the outdoor season clocking a blazing fast 48.96 at the North Oldham Invitational remaining undefeated in the event since last years 2nd place Eastern Relays finish. In the hurdles, one man continues to dominate. Vasean Green of Fern Creek clocked the fastest 100mH and 300mH while also lowering his state leading marks. At the North Oldham Invitational, Green PR'd in the 300mH with a 39.25 and let the field know who's boss in the 110mH with his 14.60. St. Xaviers Eoin Corbett set the standard in the 800 for his Super Region with a 2:00.41 at the GRC Heavy Metal Throwdown Invitational. Trinity's Jack Baum and Eastern's Devin Ballard followed his mark with Baum going 2:01.15 and Ballard clocking in at 2:02.99, both at the North Oldham Invitational. 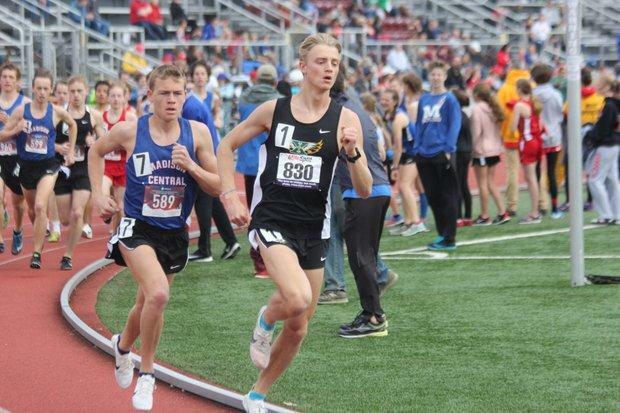 Jack Baum also ran an impressive 4:30.80 1600m at the North Oldham Invite, however was outdone by Grady Shiflet's 4:25 at GRC Heavy Metal Throwdown for the top 1600m time of the week. In the last distance event, Trinity Sophomore Ryan O'Dea was the only one in the Super Region to go sub 10 in the 3200m crushing the field at the North Oldham Invitational with his 9:54.17 performance at the North Oldham Invitational. The relays were a back and forth game with St. Xavier and Trinity. In the 4x400m, however, Male snuck into 1st for the week with their 3:29.84 at the North Oldham Invitational with St. X behind them holding the 2nd fastest Super Regional Time of the week (3:30.86). In the 4x100 Relay St. X took the cake with their 43.55 while Trinity clocked the 3rd fastest time of the week with a 44.09. In the 4x200m, Trinity had the fastest time at 1:31.72 with St. X all the way down in 7th with a 1:37.81. Finally, in the 4x800m relay, St. X once again took the top spot with their 8:31.18 run at the GRC Heavy Metal Throwdown while Trinity didn't run a 4x8 this past week. The current best thrower in Kentucky, Martha Layne Collins' Nathan Jacobs, led the state yet another week in the discus with his 151-11 Discus at the Shelby County All-Comers and followed it up with a 46-5.5 Shot Put that same day. As for the jumps, William Davis of Shelby County jumped a 21-11 for the win at the North Oldham Invitational followed by St. Xavier's Anthony Woods' 21-6 to win at at GRC. Woods also went on to win the Triple Jump at GRC with a 44-0 which earned him the top mark of the week as well. There was a tie at the top of the leaderboards in the high jump as Carroll County's Joshua Willie and Trinity Freshman Avery Bell both cleared 6-0 at the North Oldham Invitational. In the Pole Vault, another freshman phenom, Luke Levinson from Eastern High School, held on to the state lead with his 15-0 win at the North Oldham Invitational.